Webb Smith has been listed in Best Lawyers in America since 1993. 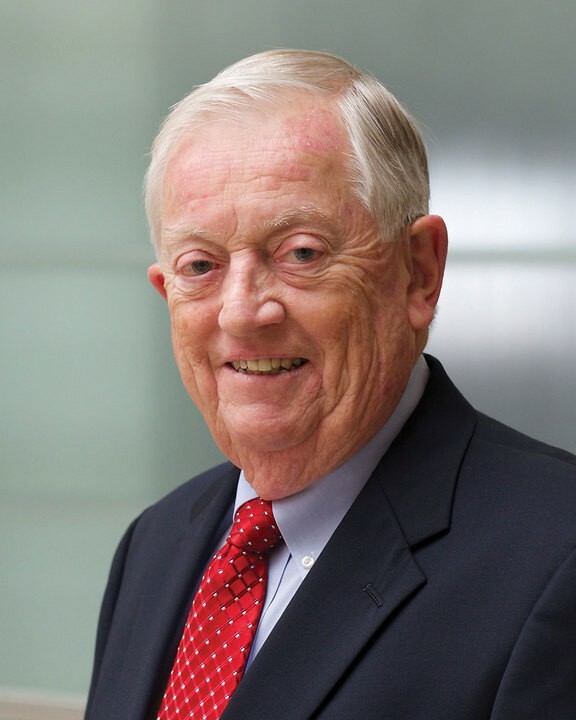 In recognition of his efforts, he was distinguished as the recipient of the Leo Farhat Outstanding Attorney Award in 1997 and the Thomas E. Brennan Lifetime Achievement Award in 2013. He received the 13th Annual Excellence in Defense Award in 2005, and was named a “Top Commercial Litigator” in 2006. A native of Lansing, Michigan, Webb completed his undergraduate studies at Michigan State University and received his juris doctorate from the University of Michigan Law School. Webb is admitted to practice in Michigan, the U.S. Supreme Court, the U.S. Sixth Circuit Court of Appeals and the U.S. District Courts for the Eastern and Western Districts of Michigan. He is a member of the Federal Bar Association as well as the American Bar Association and its Litigation and Natural Resources Sections. He is an American Bar Foundation Fellow, a Michigan State Bar Foundation Fellow, an Ingham County Bar Foundation Founding Fellow and is active in the State Bar of Michigan, where he currently serves on its Committee for Resolution of Disputes Among Attorneys. He is also a fellow in the American College of Trial Lawyers. He previously served on the State Bar Civil Procedures Committee and Committee on Judicial Qualifications. He is also a current member and past president of the Ingham County Bar Association. Webb’s previous involvement includes sitting on the Character and Fitness Committee of Ingham County’s 30th Judicial Circuit Court for 12 years, spending more than seven years as a member of Client Security Fund, and serving as a member of the Representative Assembly of the State Bar of Michigan. He is a member and formerly served on the Michigan Defense Trial Counsel’s Board of Directors. He is also a member of both the Michigan Oil and Gas Association and the Association of Defense Trial Attorneys. He has distinguished himself further as a Life Member of the Sixth Circuit Judicial Conference and is also a member of the Ingham County Bar Foundation’s Board of Directors. Lead counsel for Shell Oil Co. in landmark Pigeon River litigation (subject of State of Michigan Legal Milestone). Pipeline and gas proration matters before Michigan Public Service Commission. Lead trial counsel in industrial espionage case involving theft of confidential oil and gas data. Lead counsel in defense of class actions involving royalty disputes and operations of gas processing plant. Lead counsel for oil and gas industry (and Shell Oil Co.) in public hearings before Michigan Department of Natural Resources (now known as the Department of Environmental Quality) in establishing rules for handling Naturally Occurring Radioactive Materials ("NORM") forming on underground pipes.